The 12 days Uganda wildlife safari or 12 days wildlife safari in Uganda is a round trip in Uganda featuring wildlife, gorilla and primate tracking in 5 best wildlife parks. The trip takes you to the magnificent Ziwa Rhino Sanctuary, Murchison Falls National Park, Kibale Forest National Park, Queen Elizabeth National Park, Bwindi Impenetrable National Park and Lake Mburo National Park. 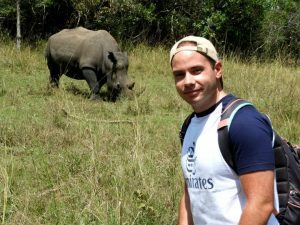 On this trip, Rhino tracking is undertaken at Ziwa Rhino Sanctuary on the second day of your trip as you are transferred to Murchison falls national park. 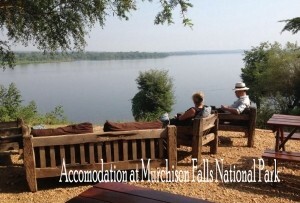 A game drive, boat cruise and hike to the top of Murchison Falls are what you do at Murchison Falls National Park. From Murchison falls park on day 4, you are driven to Lake Albert Lodge then to Kibale forest National Park for chimpanzee trekking then. 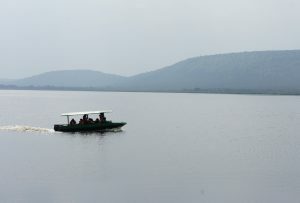 The trip continues to Queen Elizabeth National Park for a game drive and boat cruise in Kazinga channel. 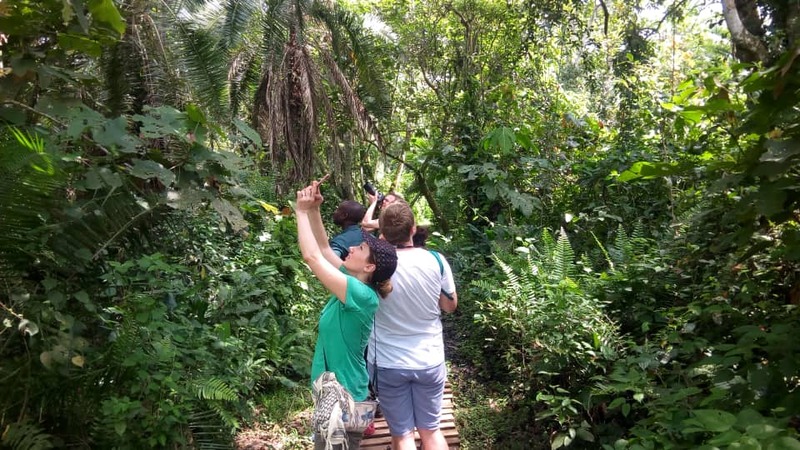 Gorilla trekking comes in as the next activity that you undertake at Bwindi impenetrable national park then after relax at the shores of Lake Bunyonyi. 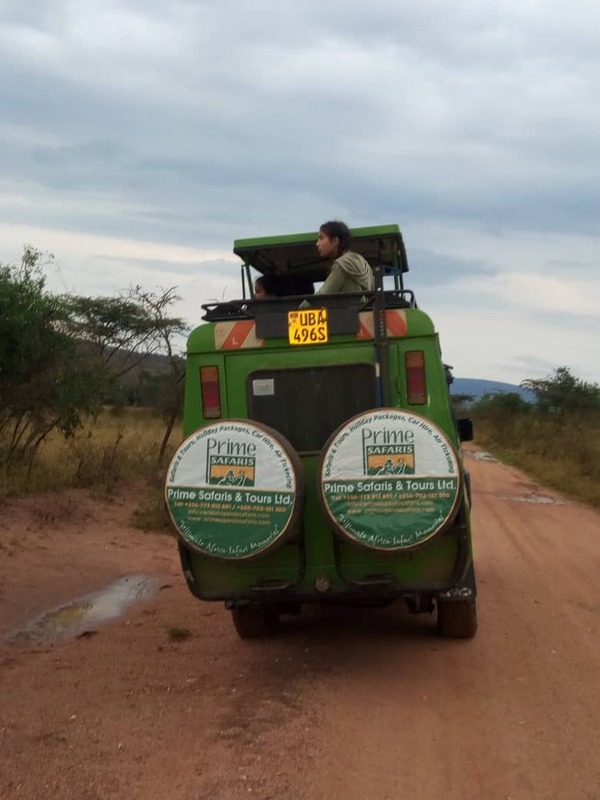 You continue with your driver guide to Lake Mburo National Park where you undertake a boat cruise, game drive and horseback riding then transfer back to Entebbe international airport with a stop at the equator. Day 1: When you arrive at Entebbe international airport, you meet your Uganda safari driver guide for a transfer to your lodging facility. Day 2: From Kampala, you are transferred to Ziwa Rhino Sanctuary for rhino tracking then after continue to Murchison Falls National Park arriving in the evening. 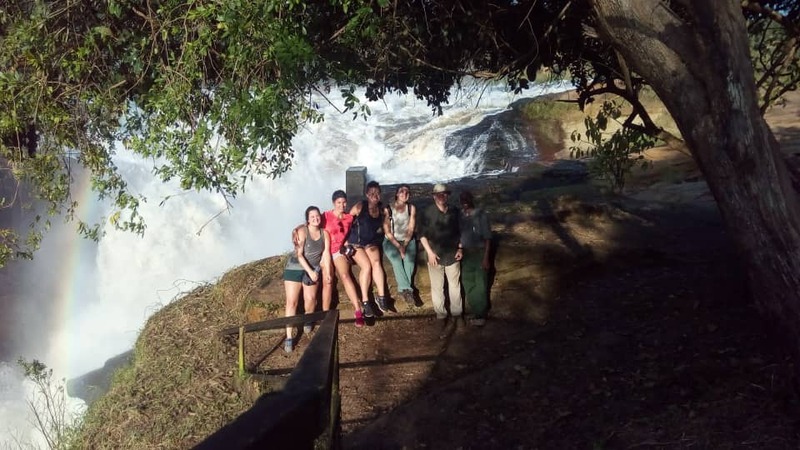 Day 3: You undertake a morning game drive, an afternoon boat cruise and a hike to the top of the mighty Murchison Falls in the evening. 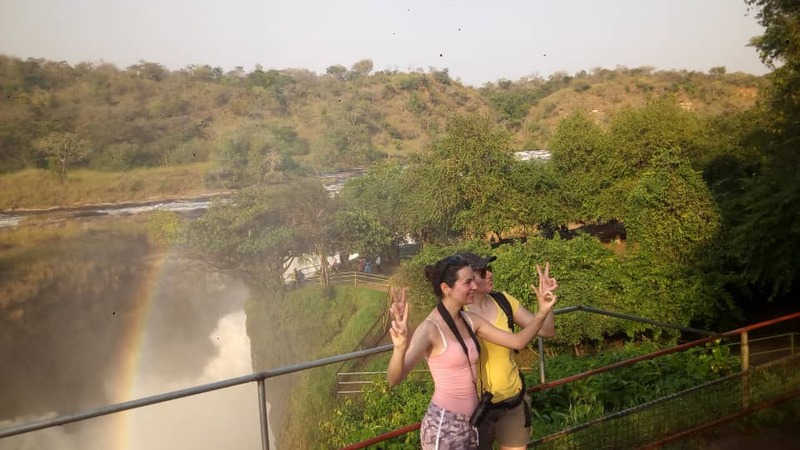 Day 4: At Murchison falls national park, you go for another morning game drive then after be driven to Lake Albert Lodge at Kabwoya wildlife reserve where you have bush dinner and spend the night. Day 5: From Lake Albert Lodge, you are then transferred to Kibale forest national park with a tour to the Ndali Kasenda crater field. 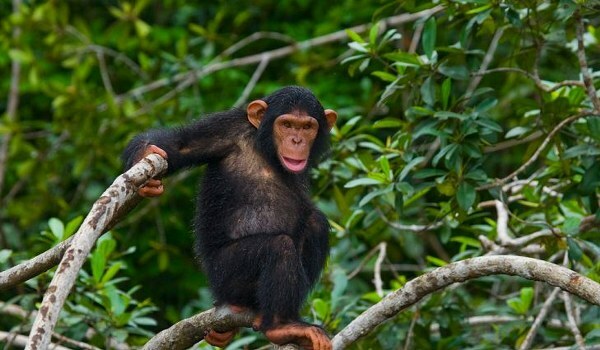 Day 6: In the morning, you undertake chimpanzee trekking then transfer to Queen Elizabeth National Park. 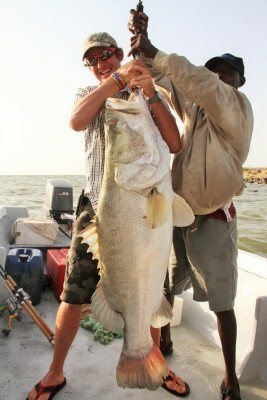 Day 7: You undertake a morning game drive then an afternoon 45km long Kazinga channel boat cruise. Day 8: From Queen Elizabeth National Park, you are transferred to Bwindi impenetrable national park which is the largest gorilla habitat in Uganda. Day 9: For about 2-8hours of the day from 8:00am you will be in the jungle for gorilla trekking. Day 10: From Bwindi forest, you are transferred to Lake Bunyonyi where you spend the rest of the day relaxing at the shores of Africa’s deepest lake. Day 11: In the morning, you are transferred from Lake Bunyonyi to Lake Mburo National Park. Day 12: In the morning, you do horseback riding or take a nature walk in Lake Mburo National Park then be driven back to Kampala with a stop at the equator line. Arriving at Entebbe international airport -Uganda’s only international airport, you meet and greet with your driver guide who will ensure all the transfers and information you need all through your trip. You are driven from Entebbe International Airport to a booked accommodation facility in Kampala-Uganda’s capital where you spend the night and relax from jet lag. From your accommodation facility in Kampala, your Uganda wildlife safari driver guide picks you up for the drive to Ziwa Rhino Sanctuary off the highway to Murchison falls park for Rhino tracking on foot. 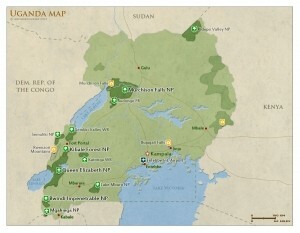 After about 2 hours of Rhino tracking, you have lunch and continue with the drive to Murchison Falls National Park. Arriving in the evening, you check into an accommodation in Murchison Falls national park where you relax as you prepare for more wildlife activities in Uganda the next day. This morning again after breakfast, you go for another game drive in Murchison falls park. After the drive in the wild and spotting more wildlife species, you then have lunch and embark on a drive to Lake Albert lodge in the Kabwoya wildlife reserve. On arrival, you check in, refresh and then have bush dinner at the lodge. You spend your night here. In the morning, you then embark on a drive to Kibale forest national park. You stop at the Ndali Kasenda crater field for scenic views of the crater lakes. These are known as crater lakes because at their time of explosion, they were violent spewing ash and rock. Here you can take a hike in the field as you explore on foot sighting scenic views. You then continue to an accommodation in Kibale forest national park. By dawn, you will be at Kibale forest park for chimpanzee trekking after having early morning breakfast. chimpanzee trekking starts at 8:00am within Kibale forest lasting 2-5 hours in the jungle though only 1 hour in the presence of the chimpanzees. After watching the chimpanzees at play and taking pictures, you return to the park headquarters where you meet your driver guide. You then return to your lodging facility for lunch and then after transfer to Queen Elizabeth National Park in the evening arriving for check in at an accommodation in Queen Elizabeth National Park. After a morning cup of African coffee at your lodging facility at Queen Elizabeth park after early breakfast, you are driven to the park for a morning game drive. Less strenuous, this safari activity offers you about 2-4hours of wildlife sightings including lions, zebras, waterbucks and many more. 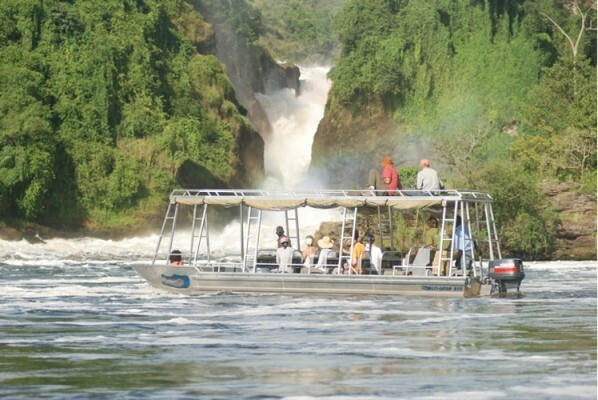 After lunch in the afternoon you will embark on a boat cruise along the 45km long Kazinga channel. 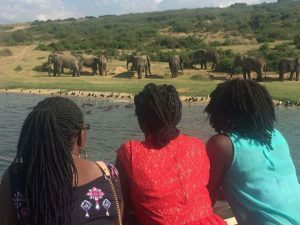 During the boat cruise, you will have the opportunity to view great numbers of wildlife like elephants monitor lizards, crocodiles, hippos, buffaloes and several bird species. After the boat cruise, you take an evening mini game drive on a return drive to your hotel/lodge where you spend the night. This morning after breakfast, you are transferred to Bwindi impenetrable national park driving through the Ishasha sector which is popular to host tree climbing lions for an en route game drive. Possible sightings here can include tree climbing lions, buffaloes, elephants, water bucks, bush bucks, Uganda Kobs and many more. You arrive in the evening for check in at an accommodation in Bwindi impenetrable national park. In the morning, you are driven to an allocated gorilla trekking sector in Bwindi impenetrable national park for mountain gorilla trekking. Before you get into the gorilla homeland, you have a briefing by the park rangers on Uganda gorilla trekking safari etiquette at 8:00am for about 30 minutes. In case of need, there potters who can help you carry any luggage such as packed lunch, water and any other items such as cameras are available. In case one fails to take on the trek of the steep mountains a stretcher can be hired at a fee. About 2-8 hours are spent in the jungle and only 1 out of them in the presence of these gentle giants. A Uganda gorilla trekking certificate is received at the end of the trek at the park headquarters where you find your driver guide waiting to transfer you to your lodging facility for an overnight stay. After your last breakfast at the foothills of the gorilla home, you are driven to lake Bunyonyi which is the deepest lake in Africa. Arriving in the afternoon, you have lunch then take a canoe ride to the punishment island. This island is one of a kind in Africa with very touching stories of its past. Along with a local guide on the boat you will take this refreshing cruise to the island that has only 1 tree surviving on it. After the canoe ride, you return to the shores of this bilharzia free lake where you relax before you spend the night at an accommodation in lake Bunyonyi. Early morning after breakfast, you embark on the drive to Lake Mburo National Park with lunch en route at Igongo Cultural Centre in Mbarara where you can have an optional visit to the cultural museum that has a variety of antiquities and books about cultures of the west. After lunch, you proceed with the drive to Lake Mburo where you undertake an evening boat cruise. Optionally, you can undertake a night game drive in search of the nocturnal wild species in this calm park. You then return to a booked accommodation in Lake Mburo National Park. In the morning, you wake up to a hearty breakfast by sunrise then go for horseback riding at 8:00am lasting 2-3hours with minimum weight of 95kg. After a meal at your lodging facility, you check out and embark on a drive to Kampala with a stop at the equator. Optionally you can decide to take a nature walk in the morning since this is the only safari park in Uganda where you can walk within the wild since the animals here are calm.